The October 21st, 2017 Sip, Sample, and Savor event to raise awareness (and funds!) for the Anne Siebert Memorial Scholarship is on the calendar!! We'll have beautiful weather, a fantastic venue, great wines from a local winery, and phenomenal appetizers! See photos below from last year's even -- and buy some tickets -- quantities are limited!! 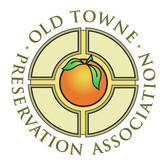 Support the Anne Siebert Scholarship in Historic Preservation to build the next generation of preservation professionals and advocates. Scholarships provide much needed resources for students in southern California pursing graduate and undergraduate degrees in historic preservation.